Enjoy the advantage of charging your phone without plugging in a cable with the QI Wireless Charging Pad. 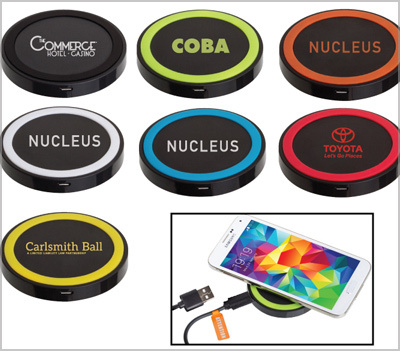 Compatible with iphone, Samsung, Nokia and other Qi-enabled smartphones, this Charging Pad uses Qi-certified transmitting coils for charging your device wirelessly. Inches: 2.71" x 2.71" x 0.37"